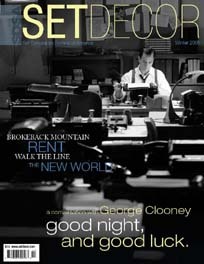 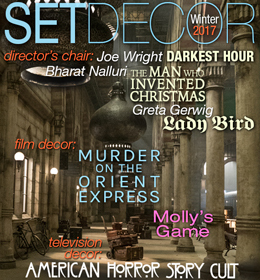 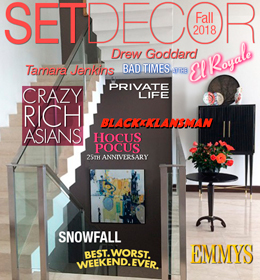 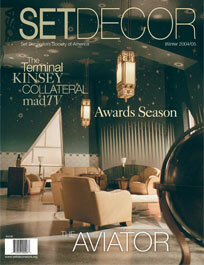 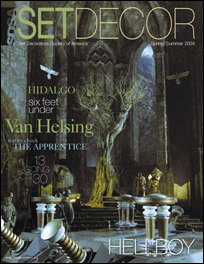 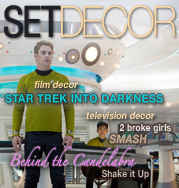 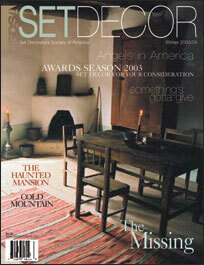 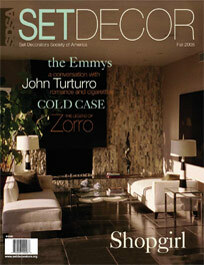 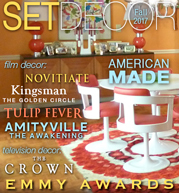 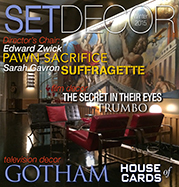 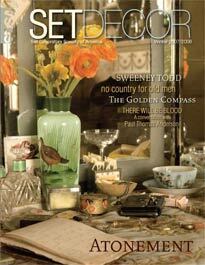 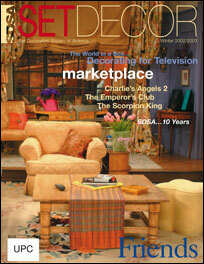 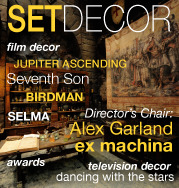 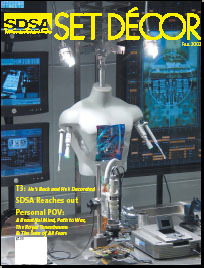 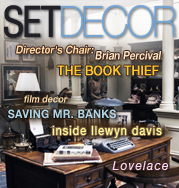 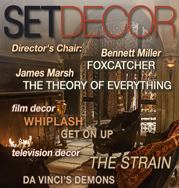 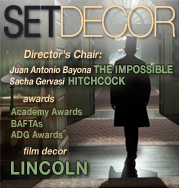 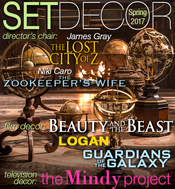 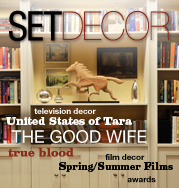 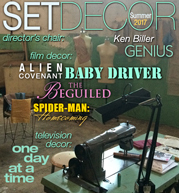 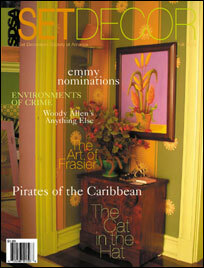 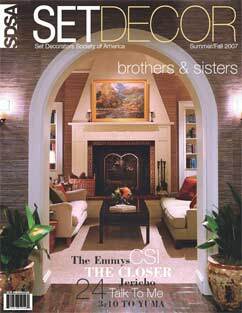 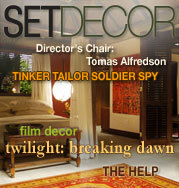 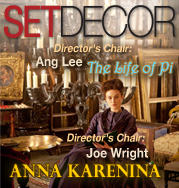 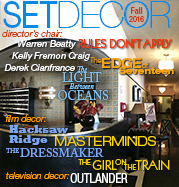 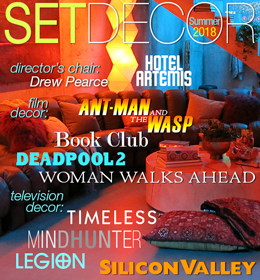 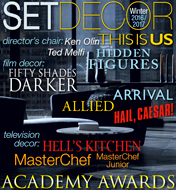 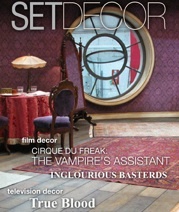 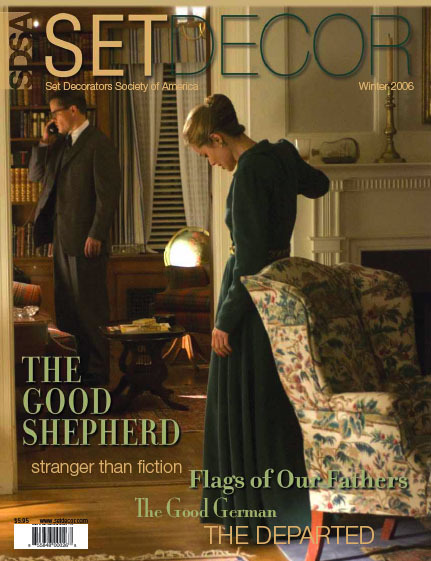 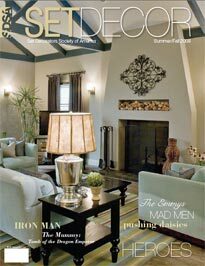 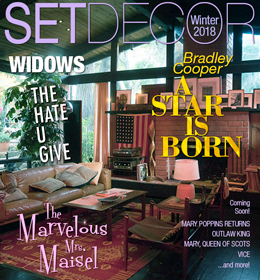 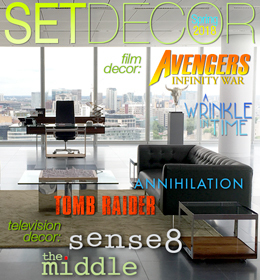 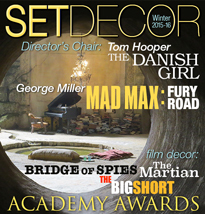 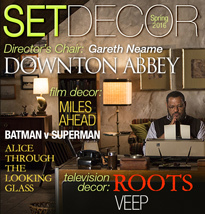 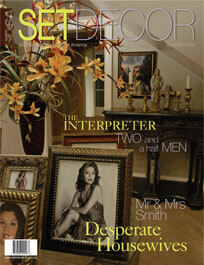 Welcome to SET DECOR, SDSA's magazine. 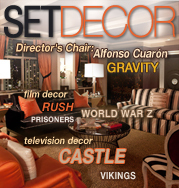 All rights reserved on ALL content, including photographs and text. 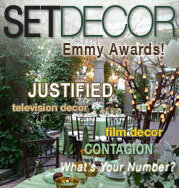 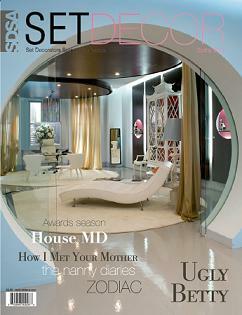 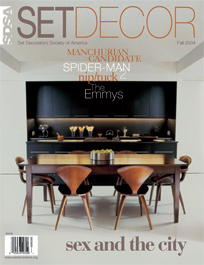 THIS MATERIAL IS FOR THE SOLE USE OF SETDECOR MAGAZINE. 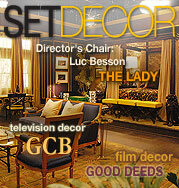 Reproduction or use of the material in any way or by any means for any purpose without permission from the Set Decorators Society of America is strictly prohibited. 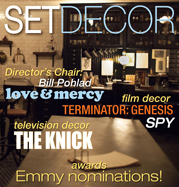 EMMY's, The Oscars, Critics Choice and more! 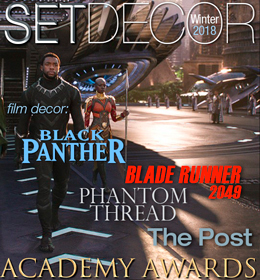 BAFTA, The Oscars, Critics Choice and more! 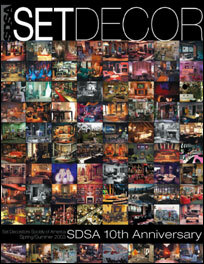 SDSA Annual Awards Luncheon with Photos! 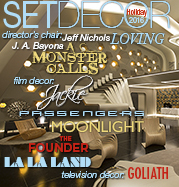 SDSA/ADG Holiday Soiree - lots of photos! 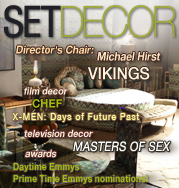 EMMYS, BAFTA, The Oscars, Critics Choice and more! 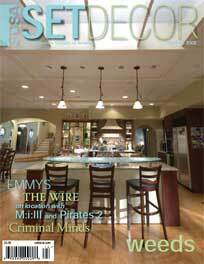 Thank you Advanced Liquidators for EMMY PARTY! 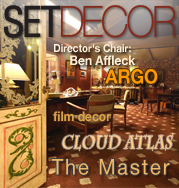 Aisling Flowers hosts the New York GMM - Pictures! 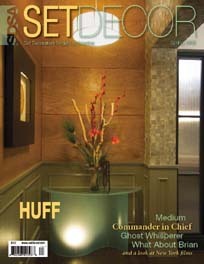 HD Buttercup, ZG04 and Ob-Jects host General Membership Meetings - Pictures! 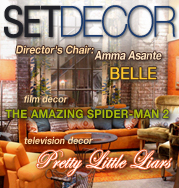 Warner Bros DAY WITH THE SET DECORATOR! 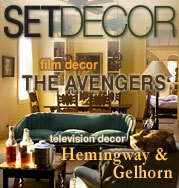 Hot off the Set: NoHo prop houses! 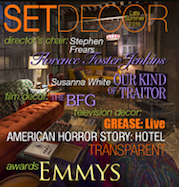 Pulling Back the Drapes Set Decoration Revealed! 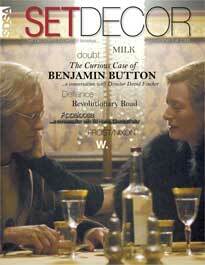 APPALOOSA CURIOUS CASE OF BENJAMIN BUTTON DEFIANCE DOUBT DUCHESS FROST/NIXON INDIANA JONES & THE KINGDOM OF THE CRYSTAL SKULL MILK REVOLUTIONARY ROAD SEVEN POUNDS SOULMEN W.